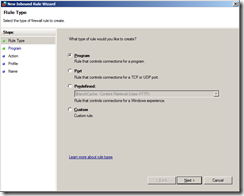 This blog post is the first in a series of posts that will cover how to install, configure, and use the new Distributed Replay Utility in SQL Server 2012. 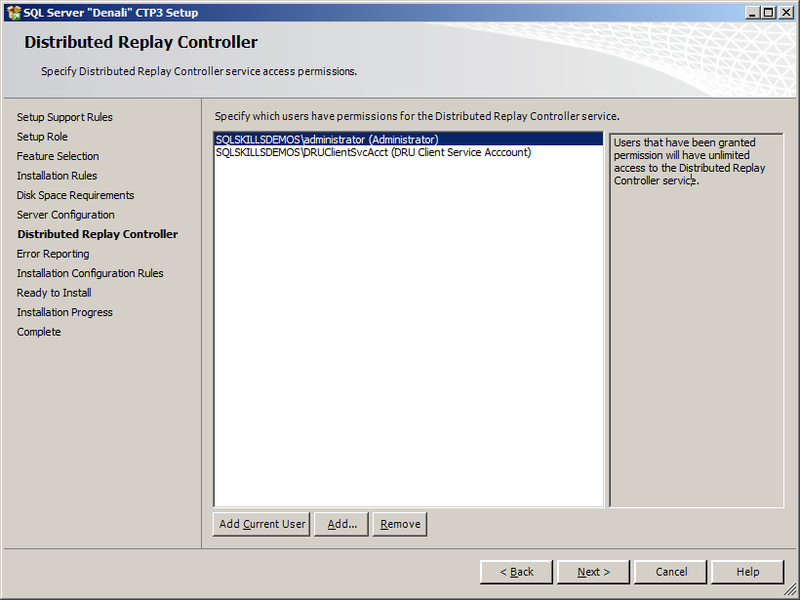 The distributed replay utility can be used to assess the impact of changes and upgrades by replaying workload activity against a test environment based on a replay trace captured from the current production SQL Server environment. 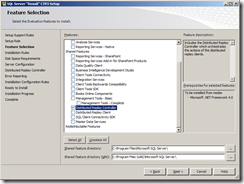 Prior to SQL Server 2012, two features existed that provided replay capabilities for performance benchmarking and stress testing SQL Server based on a replay workload; SQL Server Profiler trace replay and RML Utilities. Unlike these two tools, Distributed Replay is not limited to replaying events from a single computer, which allows you to drive higher loads against the test environment to better simulate mission-critical workloads by driving load from multiple clients concurrently. 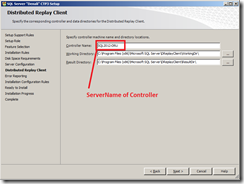 This blog post will show how to configure a Distributed Replay Controller, using a dedicated server named SQL2012-DRU, and two Distributed Replay Clients using dedicated servers named SQL2012-DRU1 and SQL2012-DRU2. 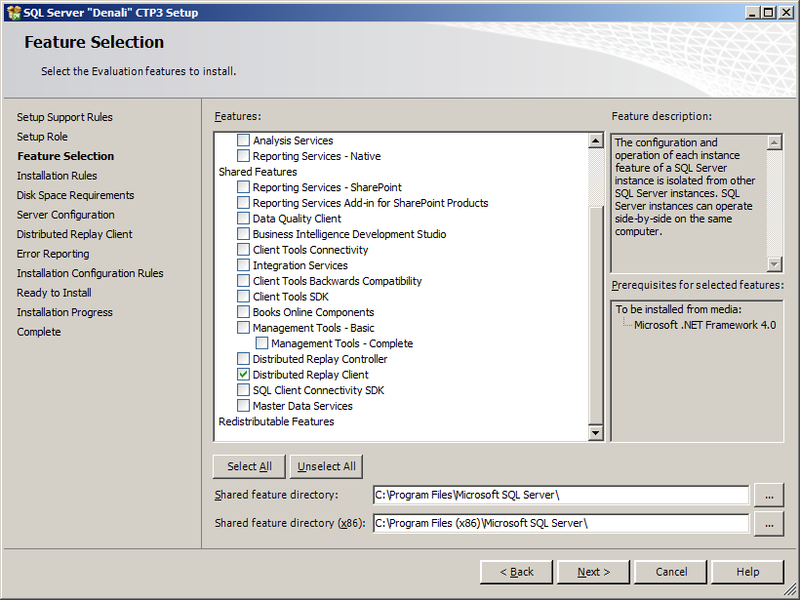 For the purposes of performing an actual replay using Distributed Replay in another post, a separate server named SQL2012-DB1 with the Database Engine Services and the AdventureWorks2008R2 database installed on it will be used. 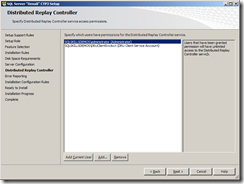 The first step in installing and configuring Distributed Replay is to setup the necessary Active Directory service accounts to run the Distributed Replay Client and Distributed Replay Controller under. 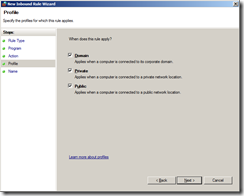 For the purposes of service isolation, the Distributed Replay Clients and Distributed Replay Controller will make use of separate Active Directory service Accounts. For the purposes of this blog post, two different accounts will be created. 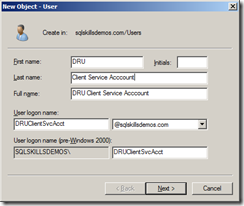 The Distributed Replay Client will use the SQLskillsDemos\DRUClientSvcAcct as shown in the below screenshots. With the service accounts setup in Active Directory, we can begin the installation of our Distributed Replay Controller. 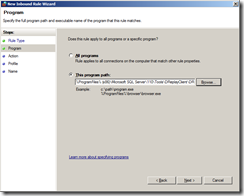 To do this run SQL Server 2012 Setup on the controller and perform a SQL Server Feature Installation. On the Feature Selection page select the Distributed Replay Client feature. 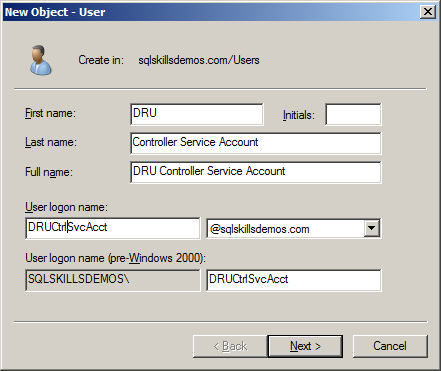 On the Server Configuration page set the Service Account credentials to the previously created Active Directory account for the client; in this case SQLSKILLSDEMOS\DRUCtrlSvcAcct. On the Distributed Replay Controller page, click the Add button and search directory services for the client service account previous created in Active Directory; in this case SQLSKILLSDEMOS\DRUClientSvcAcct. 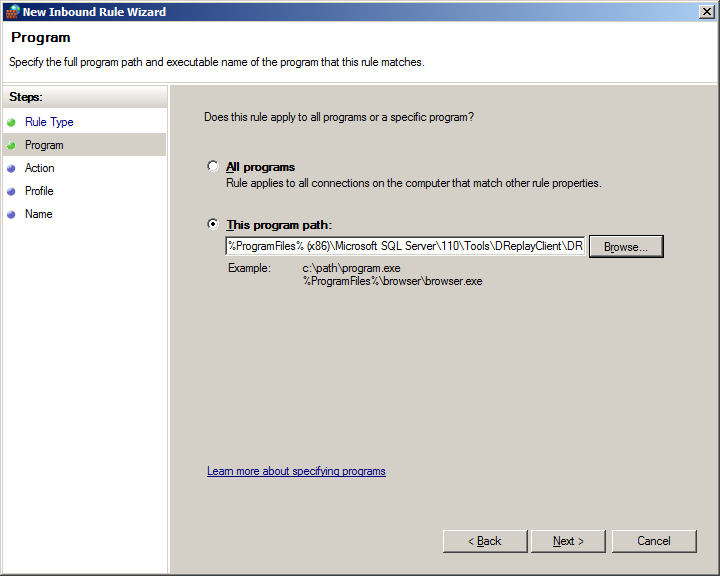 Finish the installation and then close SQL Server Setup. With the service accounts setup in Active Directory, we can begin the installation of our Distributed Replay Client machines. 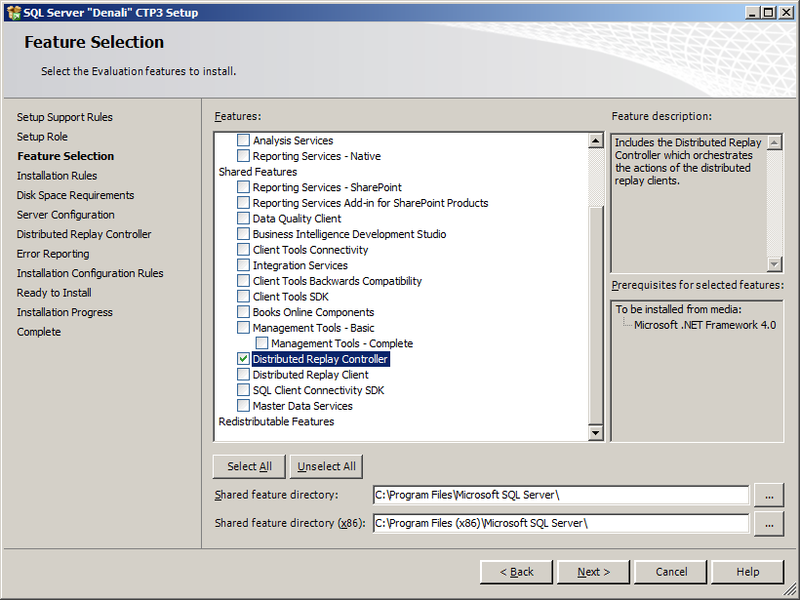 To do this run SQL Server 2012 Setup on each of the clients to be configured and perform a SQL Server Feature Installation. On the Feature Selection page select the Distributed Replay Client feature. 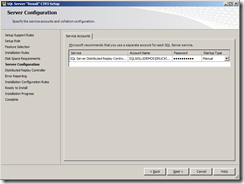 On the Server Configuration page set the Service Account credentials to the previously created Active Directory account for the client. In this case SQLSKILLSDEMOS\DRUClientSvcAcct. 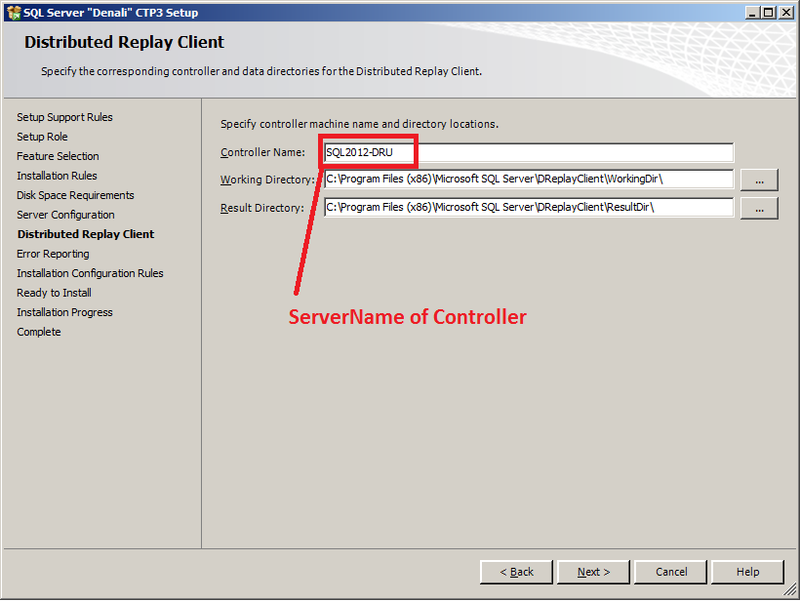 On the Distributed Replay Client page, type in the name of the server that you previously installed the Distributed Replay Controller service on in the Controller Name box. 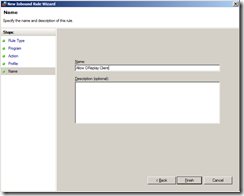 In order for the Distributed Replay Clients (SQL2012-DRU1 and SQL2012-DRU2) to connect and register with the Distributed Replay Controller, in this case SQL2012-DRU, the firewall must be configured to allow inbound connections for the DReplayClient.exe application on each of the client machines, as well as for the DReplayController.exe application on the Distributed Replay Controller. 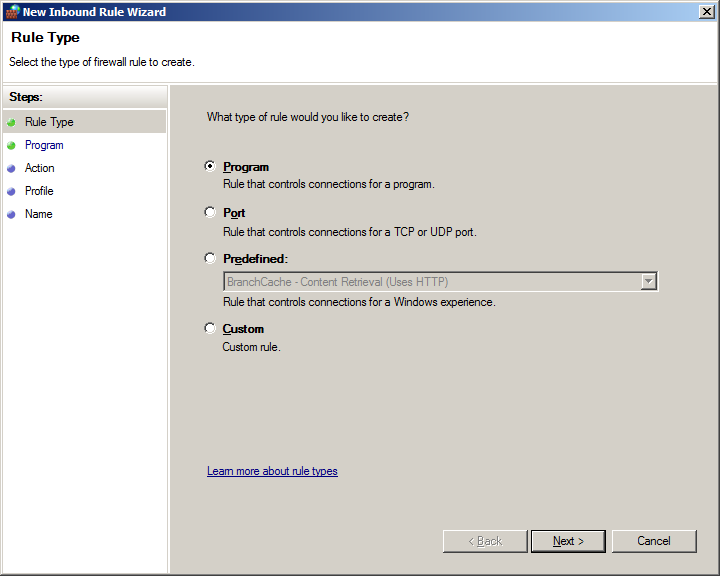 To do this, firewall rules need to be added through the use of the Windows Firewall with Advanced Security snapin, available through Start | Administrative Tools | Windows Firewall with Advanced Security, or through the use of NETSH command line statement executions (detailed later in this blog post). To add a new firewall rule for the DReplay Client using the Windows Firewall with Advanced Security snapin, Right-Click on Inbound Rules and click on the New Rule menu item. 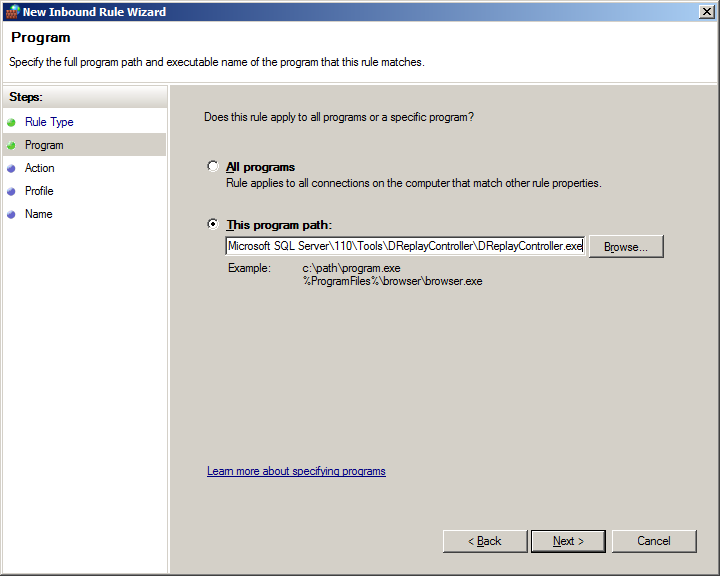 Specify Program for the Rule Type and click Next. On the Program page, click Browse and navigate to C:\Program Files (x86)\Microsoft SQL Server\110\Tools\DReplayClient and select the DReplayClient.exe executable. On the Action page select the option Allow the connection and then click Next. 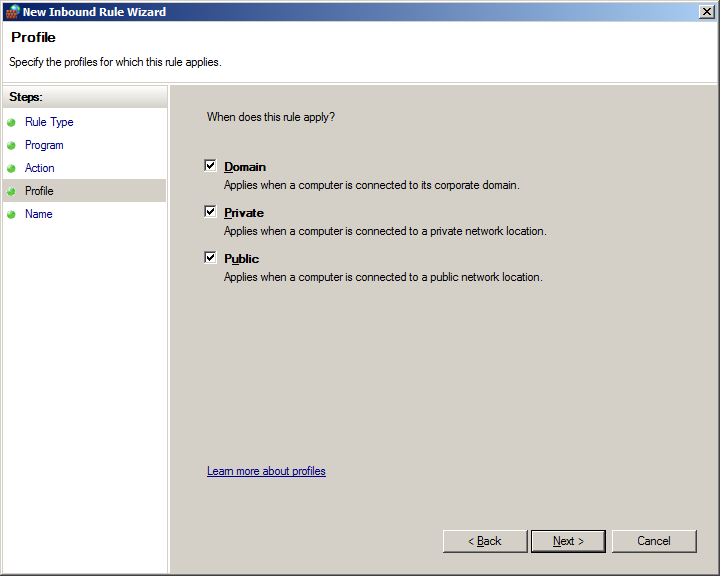 On the Profile page, select the appropriate network profiles/locations for the environment, generally Domain would be sufficient for most corporate domains, and then click Next. 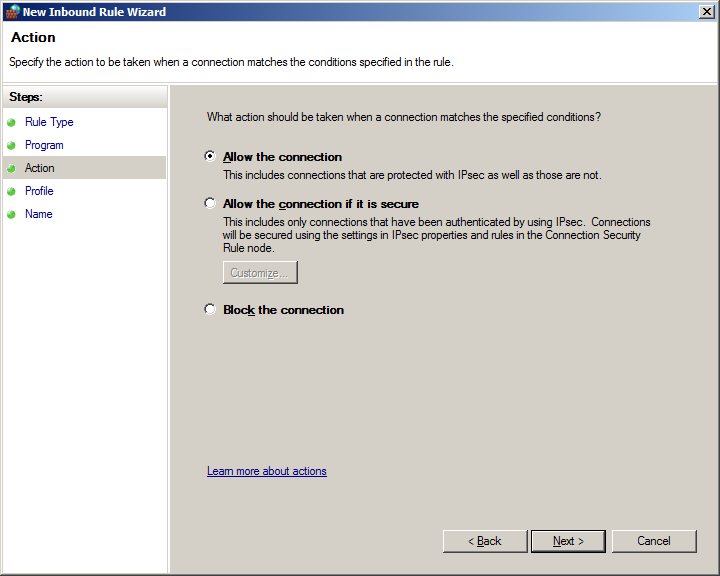 Finally provide a Name for the rule and click Finish to make the firewall changes. 2011-11-09 00:41:09:162 OPERATIONAL [Client Service] Microsoft SQL Server Distributed Replay Client – 11.0.1440.19. 2011-11-09 00:41:09:162 OPERATIONAL [Client Service] (c) Microsoft Corporation. 2011-11-09 00:41:09:162 OPERATIONAL [Client Service] All rights reserved. 2011-11-09 00:41:09:178 OPERATIONAL [Client Service] Current edition is: [Enterprise Evaluation Edition]. 2011-11-09 00:41:09:178 OPERATIONAL [Common] Initializing dump support. 2011-11-09 00:41:09:178 OPERATIONAL [Common] Dump support is ready. 2011-11-09 00:41:09:193 OPERATIONAL [Client Service] Windows service "Microsoft SQL Server Distributed Replay Client" has started under service account "SQLSKILLSDEMOS\DRUClientSvcAcct". Process ID is 2928. 2011-11-09 00:41:09:193 OPERATIONAL [Client Service] Time Zone: Eastern Standard Time. 2011-11-09 00:41:09:193 OPERATIONAL [Client Service] Controller name is "SQL2012-DRU". 2011-11-09 00:41:09:193 OPERATIONAL [Client Service] Working directory is "C:\Program Files (x86)\Microsoft SQL Server\110\Tools\DReplayClient\WorkingDir". 2011-11-09 00:41:09:193 OPERATIONAL [Client Service] Result directory is "C:\Program Files (x86)\Microsoft SQL Server\110\Tools\DReplayClient\ResultDir". 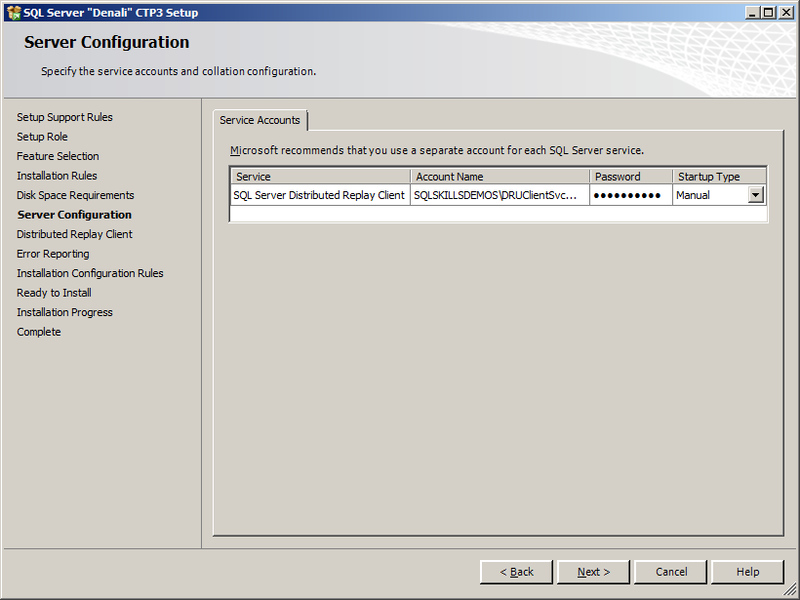 2011-11-09 00:41:09:367 OPERATIONAL [Client Service] Registered with controller "SQL2012-DRU". 2011-11-09 00:40:50:207 OPERATIONAL [Client Service] Microsoft SQL Server Distributed Replay Client – 11.0.1440.19. 2011-11-09 00:40:50:223 OPERATIONAL [Client Service] (c) Microsoft Corporation. 2011-11-09 00:40:50:223 OPERATIONAL [Client Service] All rights reserved. 2011-11-09 00:40:50:223 OPERATIONAL [Client Service] Current edition is: [Enterprise Evaluation Edition]. 2011-11-09 00:40:50:223 OPERATIONAL [Common] Initializing dump support. 2011-11-09 00:40:50:239 OPERATIONAL [Common] Dump support is ready. 2011-11-09 00:40:50:239 OPERATIONAL [Client Service] Windows service "Microsoft SQL Server Distributed Replay Client" has started under service account "SQLSKILLSDEMOS\DRUClientSvcAcct". Process ID is 776. 2011-11-09 00:40:50:239 OPERATIONAL [Client Service] Time Zone: Eastern Standard Time. 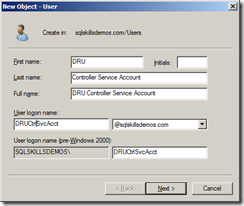 2011-11-09 00:40:50:239 OPERATIONAL [Client Service] Controller name is "SQL2012-DRU". 2011-11-09 00:40:50:239 OPERATIONAL [Client Service] Working directory is "C:\Program Files (x86)\Microsoft SQL Server\110\Tools\DReplayClient\WorkingDir". 2011-11-09 00:40:50:239 OPERATIONAL [Client Service] Result directory is "C:\Program Files (x86)\Microsoft SQL Server\110\Tools\DReplayClient\ResultDir". 2011-11-09 00:40:50:476 CRITICAL [Client Service] [0xC8100013] Failed to register with controller SQL2012-DRU. 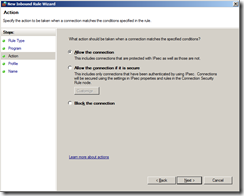 If the client fails to register, and the controller name is correct, you need to verify first that the firewall rules have been established for the client to allow the appropriate inbound connections from the controller service and that the firewall rules have been established for the controller to allow the appropriate inbound connections from the client services. If this all checks out, you need to go troubleshoot the permissions and setup of the services in the environment, which I’ll cover in a later post. 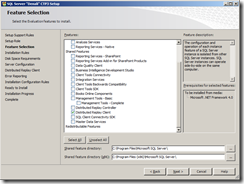 Great series…Did you ever complete the “Troubleshoot the permissions and setup of the services in the environment” article? Thanks for sharing the steps for this. Do you know how adding clients affects the load? 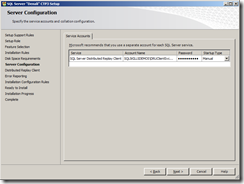 Does the load double if you move from one client to two, or are the transactions shared between them?